Below are the stories of families and individuals whose lives were changed with help from the Texas Foundations Fund. Vernon is a disabled senior citizen who lives alone. He has multiple chronic conditions including cancer, kidney disease, and hepatitis. He desperately needed some repairs and accessibility modifications to his home, but he was unable to afford or perform the repairs himself. For example, he was having difficulty getting in and out of his bathtub, and he was once stuck inside the tub for several hours! With a grant from the Texas Foundations Fund, nonprofit partner Merced Housing removed the tub and constructed a new walk-in shower with grab bars and a seat. Leveraging additional funding from the City of San Antonio, Merced Housing was also able to replace Vernon’s windows with brand new energy efficient windows to save his money on his utility bills. And Vernon could not have been more grateful. After the job was completed, he stated that the repairs, particularly the new walk-in shower, have changed his life for the better. 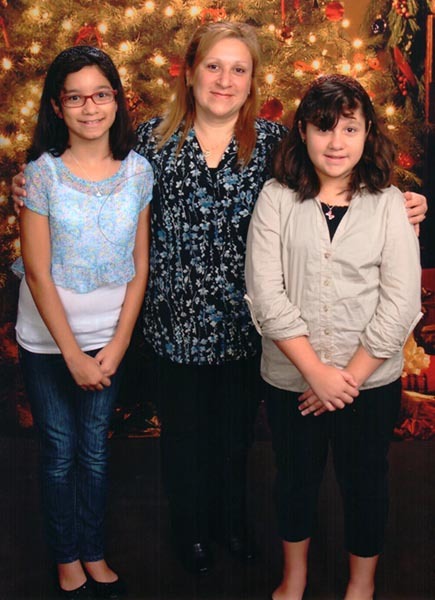 Mirtha is a single mother with two pre-teen daughters. When the family first moved from public housing in to a Foundation Communities apartment, Mirtha’s daughters couldn’t believe how quiet it was. They had become accustomed to hearing sirens, shouting and shootings at night. As a defense to the tough surroundings in their previous housing, the family had developed a wall between themselves and the people around them. However, with consistent case management (provided with a grant from the Texas Foundations Fund), the family began to trust more and more. The case manager also helped Mirtha take advantage of some additional services to help her improve both her finances and her relationship with her daughters. Mirtha’s primary motivation to move from public housing was to better the lives of her daughters. Andrea was performing poorly in school and Giselle had been diagnosed with high cholesterol, hypertension and pre-diabetes. Mirtha began meeting with the Parent Child Advocate and worked on effectively communicating with her daughters. Andrea enrolled in a charter school that better met her needs and her grades shot up. Giselle began to eat healthier, completed her first 5k with the Running Buddy Program and has since lowered her cholesterol, blood pressure and blood sugar. Mirtha also completed the Money Matters class and opened a Matched Savings account. With help from a financial coach, she also set financial goals to save money for emergencies, build her credit, and eventually purchase a home. To date, Mirtha has saved almost $6,000 for emergencies and home ownership. She is now approved to begin the home buying process with Austin Habitat for Humanity and hopes to buy a home in the next two years. Marie’s husband Ollie passed away in 2012 after a three year battle with dementia. Marie and Ollie were high school sweethearts, and losing him felt like losing a lifetime of partnership. Not long after her husband passed away, Marie applied for housing assistance under iACT’s Hands on Housing home repair program. It was clear that she needed help immediately. In her preliminary application, she requested some carpentry repair on her front porch, but unbeknownst to her, her electrical system was severely deteriorated, and her hot water heater was venting carbon monoxide fumes directly into the house. 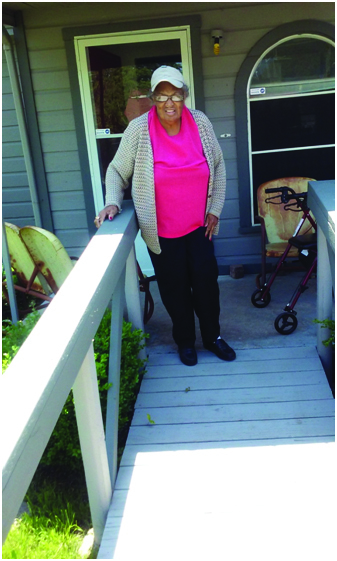 Using a grant from the Texas Foundations Fund, Hands on Housing staff acted quickly to install a new electrical system and an electric hot water heater, which alleviated the health and safety concerns in Marie’s home. And Marie could not have been more appreciative. Throughout the entire application and construction process, the Hands on Housing staff noted that her demeanor was one of patience, gratitude, and peace, and she always greeted them with a smile and a hug. Jodi was at rock bottom when she came to The Women’s Home, a supportive housing nonprofit in Houston. After developing an autoimmune disease, she had descended into a world of depression, anxiety, and alcoholism. She tried everything she could to recover alone, but nothing worked. Jodi knew she needed help and so she found herself at the door of The Women’s Home. When she first arrived, even the smallest things were overwhelming. But thanks to a grant from the Texas Foundations Fund, The Women’s Home was able to provide Jodi with case management and other supportive services to help her get back on her feet. Today Jodi works for a small family-owned company that produces custom marble and stone pieces, a job she acquired at the suggestion of The Women's Home's vocational training volunteers. She enjoys the stability of the work combined with the relaxed family environment of the company. She still resides at The Women’s Home’s Jane Cizik Garden Place, which provides her with a beautiful affordable apartment and services to help her thrive in her new life. After spending so much time in isolation, Jodi realizes now that she is not alone. She’s gained strength from knowing the other residents and has reconnected with her family. She and her sister even went to see Oprah Winfrey and Deepak Chopra speak in Houston, a deeply healing and empowering experience for both of them. After living through Hurricane Katrina in New Orleans, Ivory became homeless and disconnected from her family. Although she was still a teenager, she had only sporadic involvement with Child Protective Services. She moved to Houston, where she lived on family friends’ couches. At 18, she ended up in Austin with no place to stay. Ivory enrolled in LifeWorks Transitional Living Program, where she received life skills such as budgeting and psychiatric support services. Ivory was then notified that she qualified for the Permanent Supportive Housing program funded by TSAHC. She now has an affordable apartment with her own bathroom and a door she can lock. Through LifeWorks, Ivory has been able to access many services that have helped her reunite with her family and put her on the path to success. 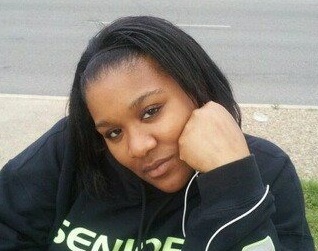 She just finished her first year at Austin Community College where she is earning her Associate Degree in psychology. When she graduates, she plans to attend Prairie View A&M University for her Bachelor’s Degree in psychology. Rosa and Margarito Huerta are raising three teenagers: Paola, Alejandro, and Julio. Rosa has been working the bean fields in Unionville, Michigan for the past six years. Margarito was a farmworker for ten years prior to becoming disabled in 2004 due to a medical condition. The family purchased a lot in 2003, and a year later started to build their own home. The Huertas put a lot of sweat equity into building a small wood frame house that consisted of a living room, kitchen and bedroom. The family takes great pride in their home. In recent years, they have made a couple of additions to the house, but have been unable to secure enough money to complete all necessary repairs or upgrades. Additionally, the home was not big enough for a family of five. With an award from the Texas Foundations Fund, MET was able to make several critical repairs to help the Huerta family live safely and comfortably in their home. They constructed walls to convert part of the large open room into two bedrooms with additional closets for much needed storage space in the house. The Huerta teens are very happy about having their own bedrooms! 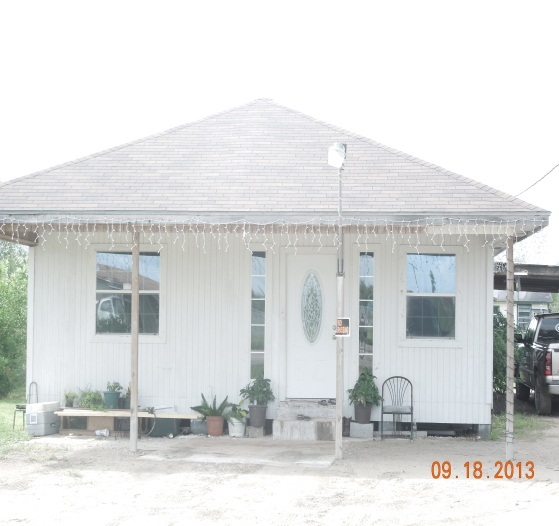 The Huerta family has expressed an immense appreciation for all of the repairs that were done to their house. People in the community have been giving them compliments on how nice the house looks. Rosa has also noticed a big difference now that insulation has been installed. The house feels much more comfortable during the cold winter days. Ida has lived in the Como neighborhood of west Fort Worth since 1965. She and her husband purchased their home in 1997, but her husband has since passed away, and she does not have any other family in the area. She lives alone with her 11-year-old canine companion Cindy. Ida needed some home repairs to make her home safer, but she could not afford to make the repairs herself. Fortunately she qualified for Trinity Habitat for Humanity’s Preserve-a-Home repair program. 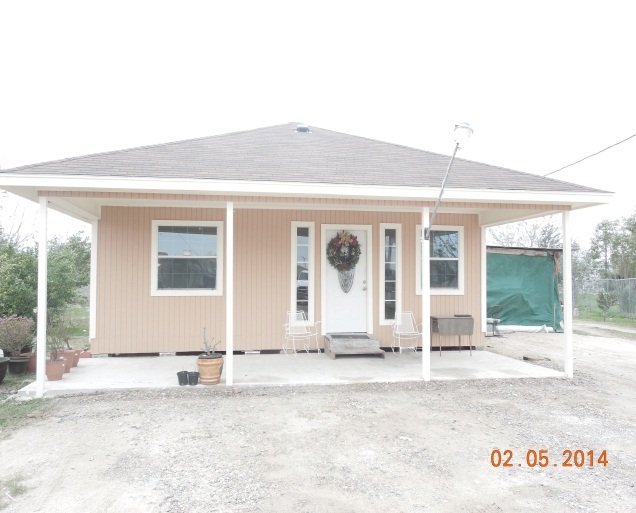 Using a grant from the Texas Foundations Fund, Trinity Habitat for Humanity was able to perform Ida’s repairs at no cost. They replaced the ramp on the front of her home, installed new siding, and painted the exterior of her home. Ida is very grateful to everyone that made her home rehab possible, and although she could not physically help with the repairs, she enjoyed providing refreshments to the staff and volunteers as they worked. Willy’s troubles began many years ago when he moved to Texas from Alabama. Surrounded by people he didn’t know, he made some bad decisions, which landed him on the streets and eventually in jail. Willy grew tired of the life he was living, and one day he decided to do something about it. He spent nine months at the Open Door Mission rehabilitation center, where he learned about the supporting housing program provided by New Hope Housing. 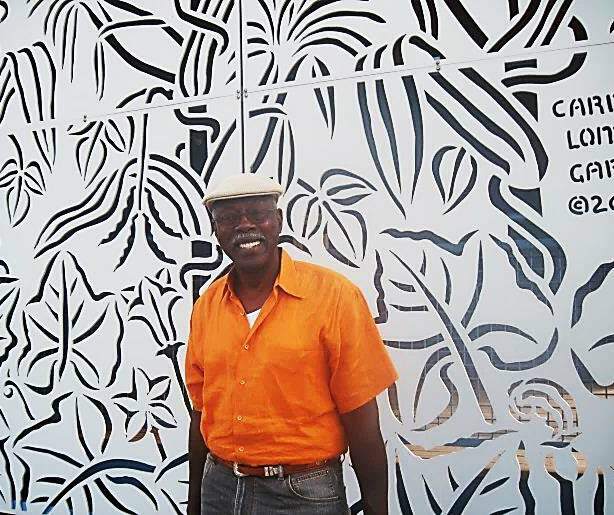 Since moving in to New Hope’s Brays Crossing apartments, Willy has completely turned his life around. With a grant from the Texas Foundations Fund, New Hope was able to provide Willy with financial education and other services to help him improve his credit score, budget his money and repair the relationships he had lost. He recently purchased a car and has regained contact with his family. Now back on his feet, Willy is focusing on helping others. He has become a spiritual guide for some of the other male residents, and he uses his car to transport residents to local food pantries and doctor appointments. 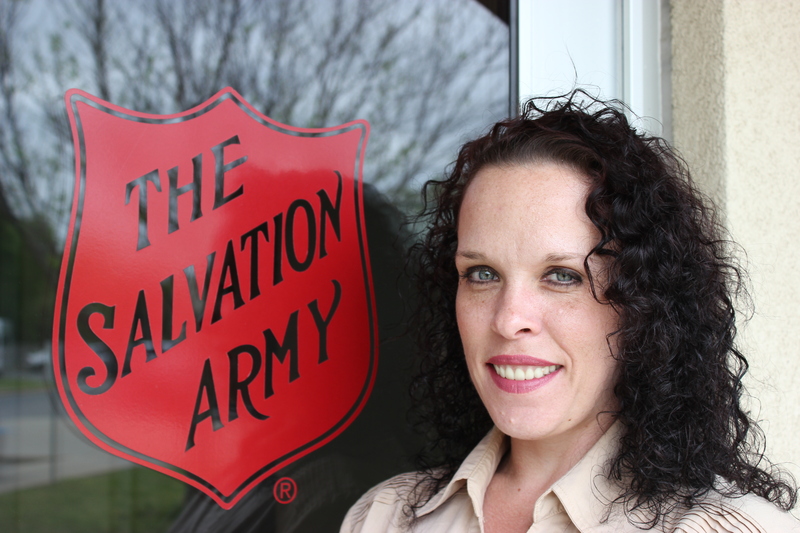 Crystal enrolled in the Tyler Salvation Army's Emergency Solutions supportive housing program in 2014. She had no I.D., no high-school education, and no job. Furthermore, her teeth had decayed due to an extreme vitamin deficiency and past drug abuse, and she was afraid to smile. With a grant from the Texas Foundations Fund, the Tyler Salvation Army was able to provide Crystal with a case manager who helped her put together a plan to get her life back on track. Crystal obtained an I.D. and immediately enrolled in her first G.E.D. class. The Tyler Salvation Army also arranged for her to see an oral surgeon, who provided her with a complete set of dentures. With her new smile and her new-found confidence, a week later Crystal found a job. And Crystal's story gets even better. She has earned her G.E.D., enrolled in classes to become a Certified Nursing Assistant and has even qualified for grants to pay for school. Thanks to the guidance and positive reinforcement she received from her case manager, in just four months Crystal has overcome the physical and psychological barriers that were weighing her down and completely transformed her life. The Tyler Salvation Army is very proud of Crystal and so grateful for TSAHC's Texas Foundations Fund program, which provided them with the means to assist her.